Think Bella! Wow, meet Barth White! Las Vegas’s most famous Theme Artisan? There is only one Tony Bennett in music and there is only one Barth White among Decorative Theme Artisan’s. Both are the Best in their Craft! This month, I was fortunate to have the opportunity to spend two days with one of our most talented Artisans in the states. 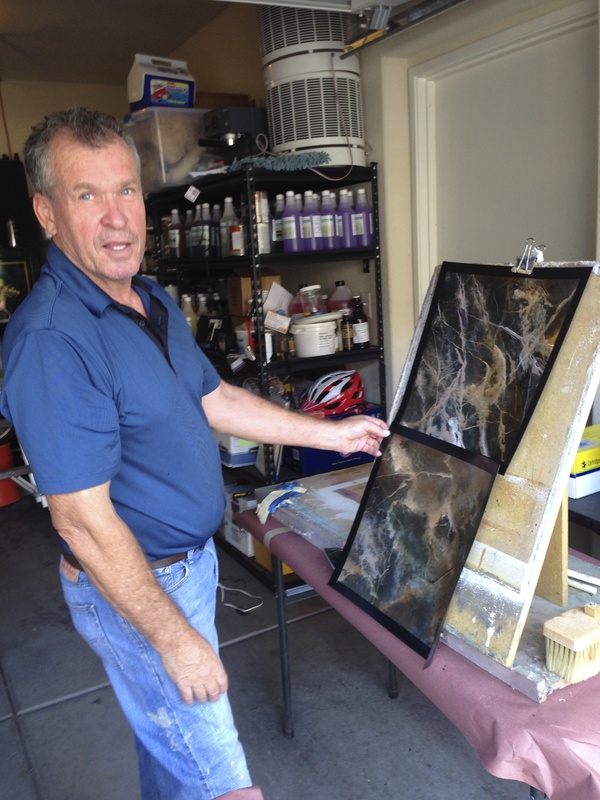 His name is Barth White, known around the world for his Theme Artistry on many of the most famous Hotels and Casinos in Las Vegas. Also for his Artistry on some of the most famous celebrities and billionaires homes. I have known of Barth for many years, but never had the opportunity to meet him. He has been on my short list of Artisan’s to meet and learn from. I finally decided to call Barth up and asked if I could spend 2 or 3 days sharing some ideas on projects David & I have, and also to learn some of his techniques in marbling and other finishes. To my surprise he said yes! 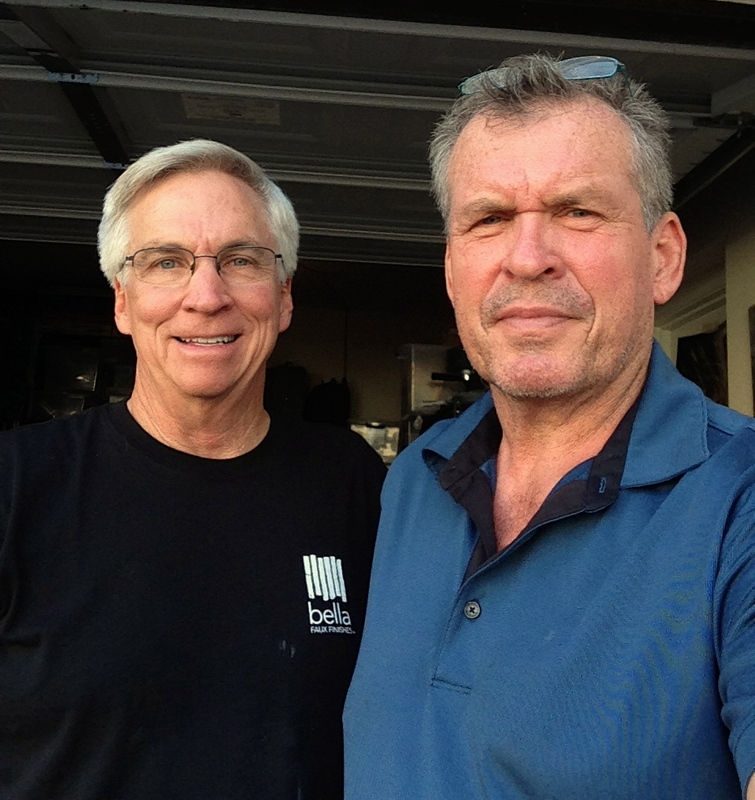 Barth has not taught for a few years and has been working specialty projects around the country on some of the most famous homes. It was by far the best two days I have ever spent with another Artisan. He is very intense when he is teaching his methods, presenting each step and technique in a logical fashion. I was a little nervous in the beginning, because he is giving so much valuable information, I didn’t want to forget anything. The pace of the day is swift, leaving little time to get distracted. Truthfully, I love his style of teaching. Sometimes he is… barking at me and other times he is… encouraging me, I loved it! I learned so much more from his style of teaching, than someone holding my hand and coddling me along. His intensity forces you to learn these methods quickly. Great Teacher! He loved my sample board of marble! By the second day we were sharing stories and experiences and became good friends. I said Barth, you need to get back into teaching. There is nobody around that has the background and experience that you have. Nobody else has created and taught breathtaking art and also managed large 90 person Artisan Crews for some of the fabulous hotels in Las Vegas. From the Bellagio, Venetian, Caesars to Paris. Your experience, depth of methodology and understanding of the Artisan Industry is above everyone. You truly need to share this with the world again. Plus… you Love to teach! So everyone, here is your “Opportunity to Meet Barth White”. There is nobody else around that can share the experiences, methods and techniques that he has used on so many famous projects. 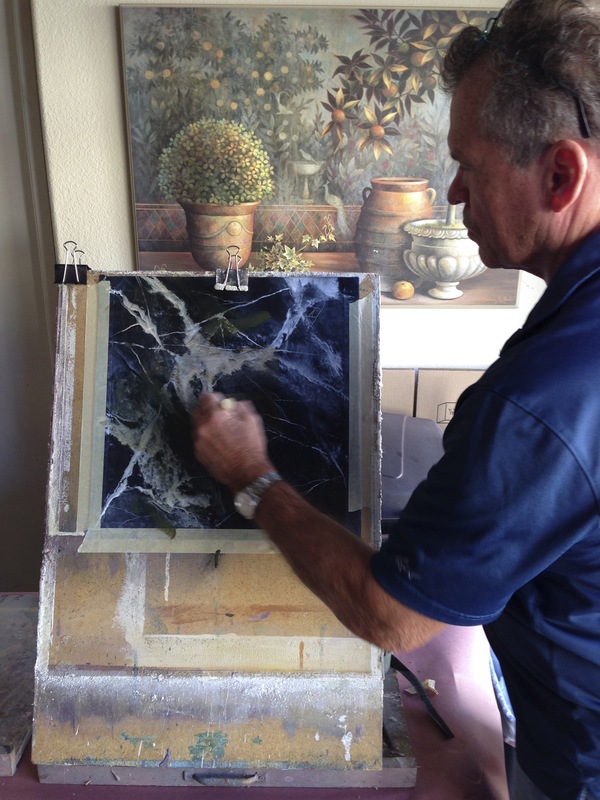 If you would like to meet Barth White and learn from one of the best Artisans ever, here is your opportunity. Barth said that he is open to teaching one on one or in a group in his home town Las Vegas or possibly traveling to your city, depending upon the number of students. If you would like to meet Barth White, here is his contact information. You can reach hime by email or just give him a call. I suspect his schedule will fills up fast. I promise, you will not regret learning from the Master. Phenomenal Artisan! Great Personality that loves to share his insight to world of Theme Artistry. Plus, a great reason to plan a trip to… Las Vegas! Below, Barth White, teaching me a variety of methods in marbling. My sample is on the left, Barth’s is on the right. 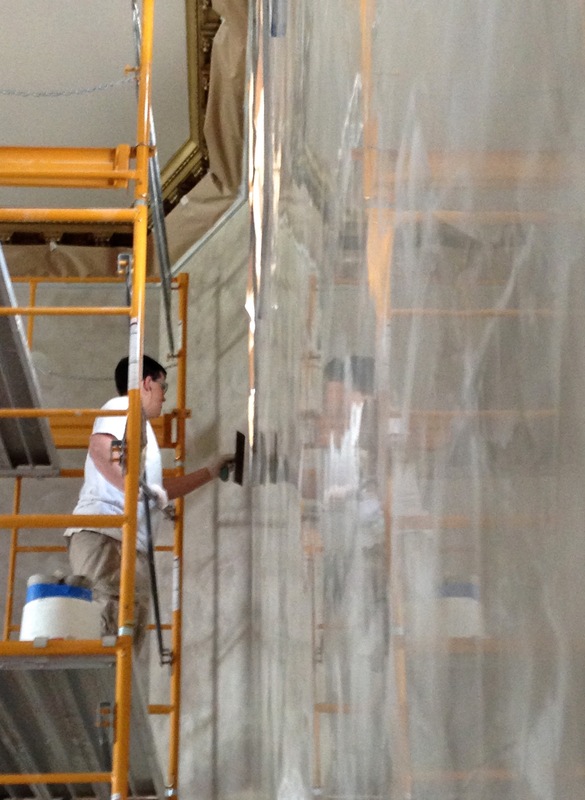 Below, Bellagio Hotel, the Patina Green Verdigris, for the glass atrium were sprayed many layers of a Decorative Finish by Barth Whites Artisans. There was almost 42 miles of metal, incredible! 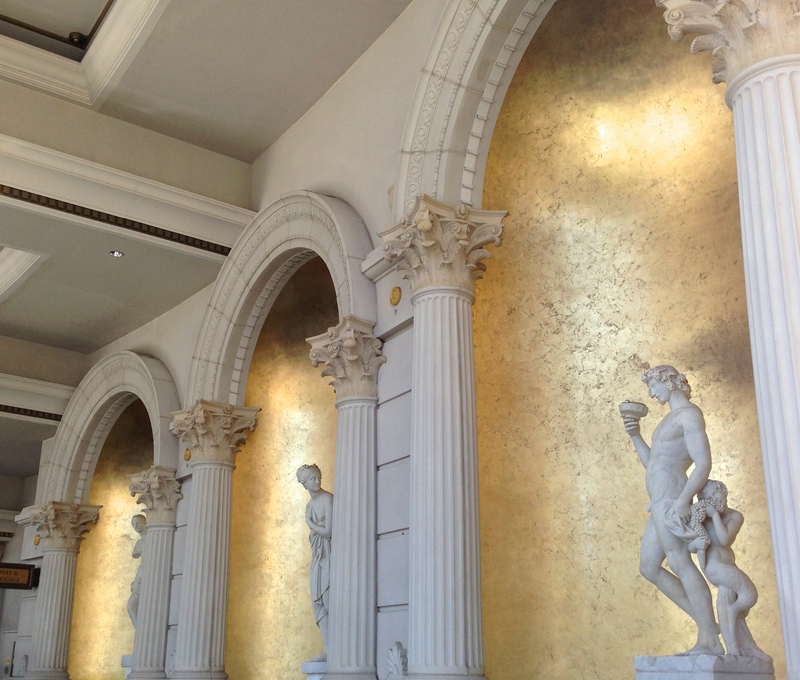 Most of the Decorative Finishes inside and out of the Bellagio, were finished by Barth Whites Artisans. 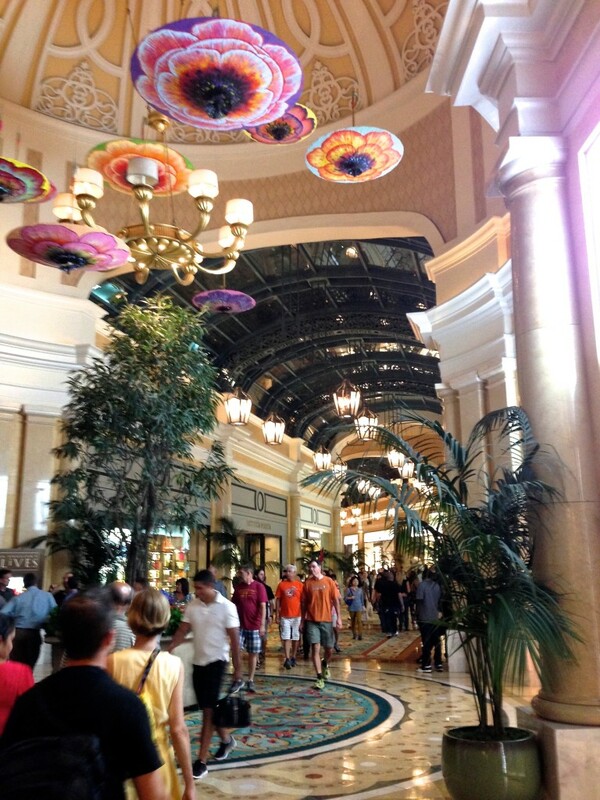 Below, at the Bellagio, don’t miss the 10 Million Dollar, Blown Glass Chandelier next time you go… It is Something! 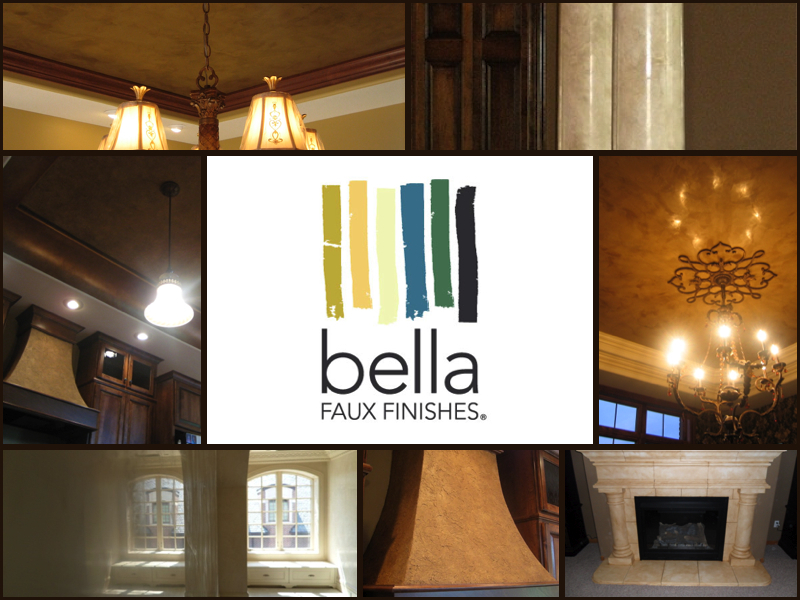 Below, Bella Faux Finishes, not sure if we are ready for the Bellagio, but David & I are confident, that we can bring some Unique Ideas, Textures, Colors and Drama to almost any size project. Click our Testimonials to learn more about The Bella Effect. 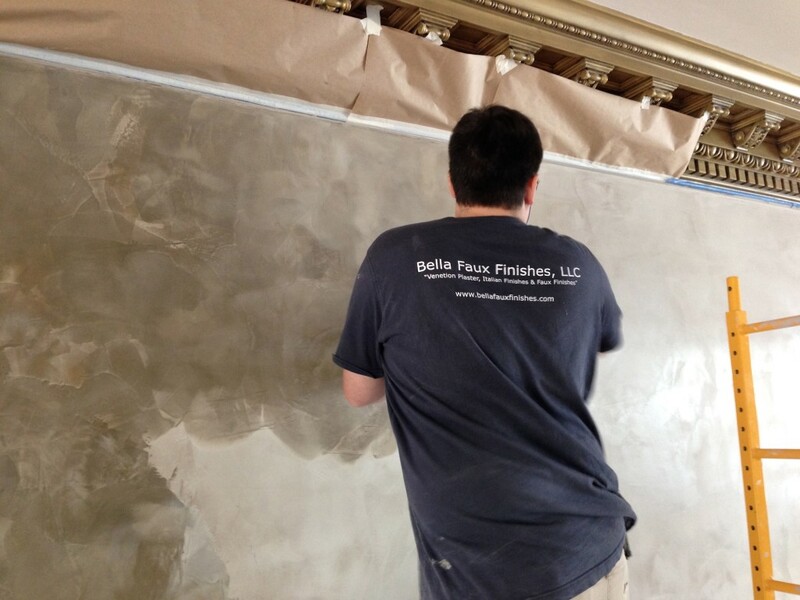 Also view our Before & After Gallery to see projects and what happens when you introduce and Italian Venetian Plaster, Italian Finishes, Faux Finishes or Decorative Finishes. If you would like to meet and share some ideas about your project, you can reach us at Contact Us or Request a Quote. 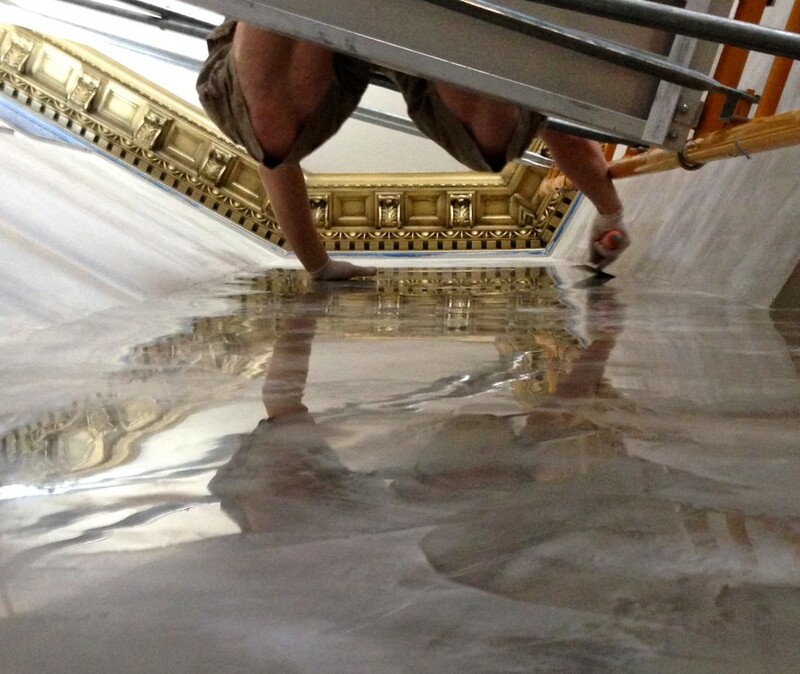 Below, Artisan David Nordgren applying and burnishing a Bi-Color Italian Venetian Plaster. Below, Artisan – David Nordgren applying a Bi-Color Italian Venetian Plaster. Notice that the color is much darker when first applied. 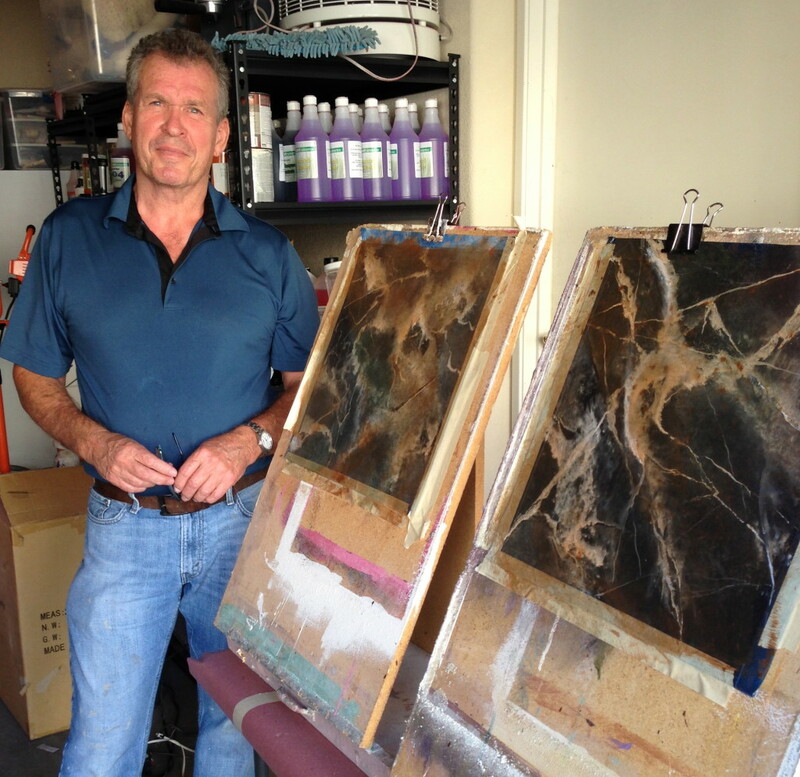 It usually takes 8-12 hours to dry for the color to settle in and reveal the final effect. 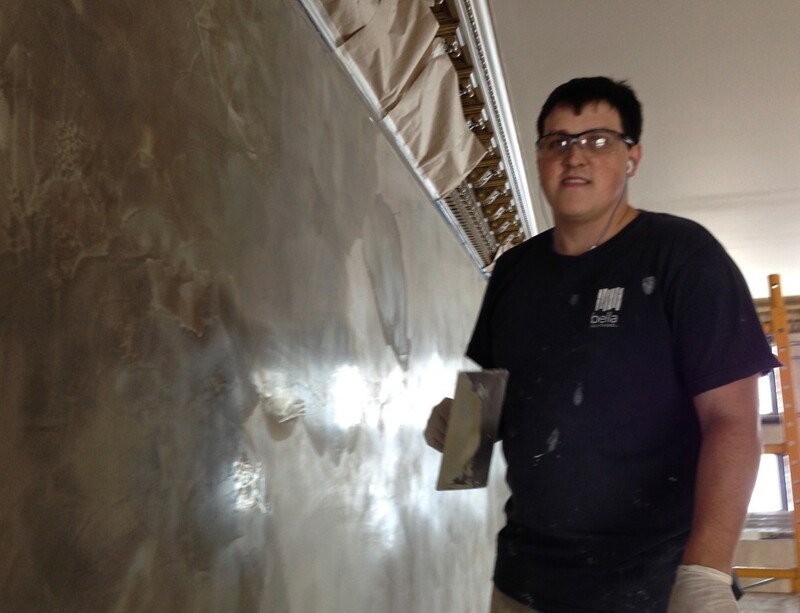 Below, Scaffolded Entryway – 21 ft walls, David and I applied an burnished the Italian Venetian Plaster with just us two. Our hands and pace are the same making this possible for just two Artisans.